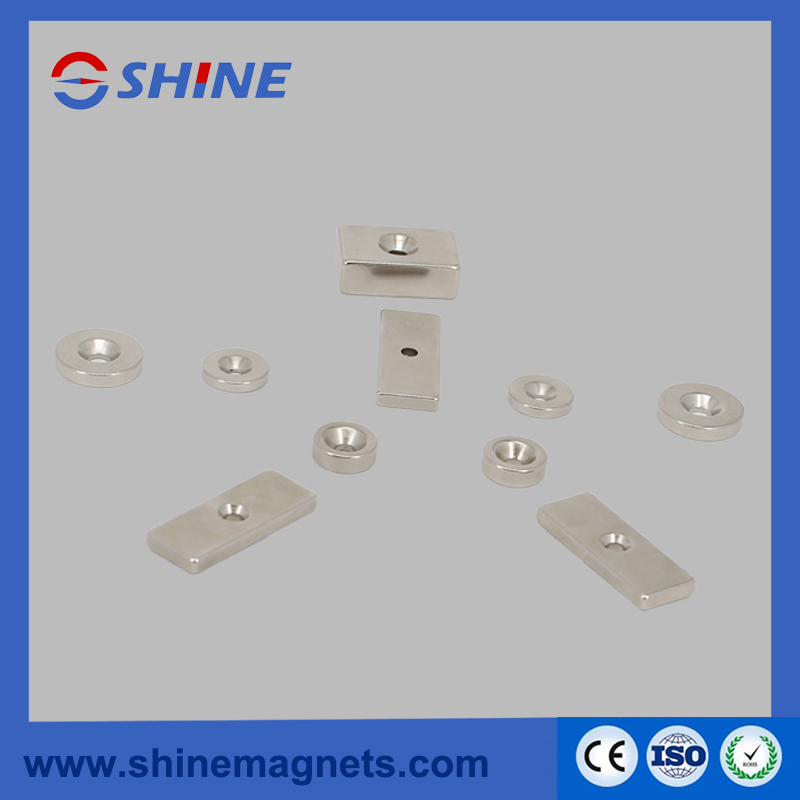 Neodymium iron boron magnet has the advantages of high cost performance and good mechanical properties.The deficiency lies in the fact that Curie's temperature is low, the temperature characteristic is poor, and the powder is easy to be corroded. 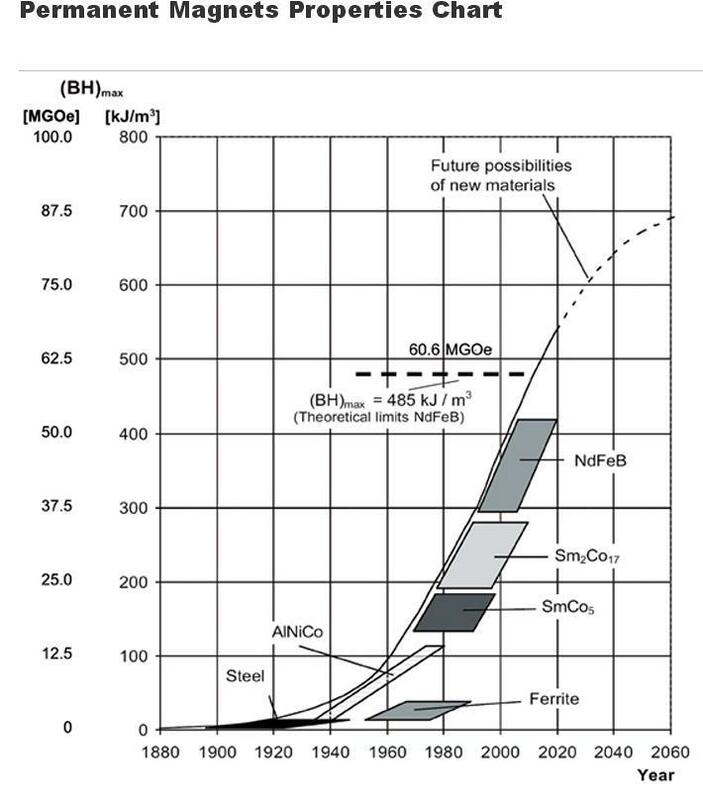 It is necessary to improve the chemical composition and the surface treatment method to achieve the practical application.Neodymium iron boron belongs to the third generation rare earth permanent magnet material, which has the characteristics of small size, light weight and strong magnetic properties. 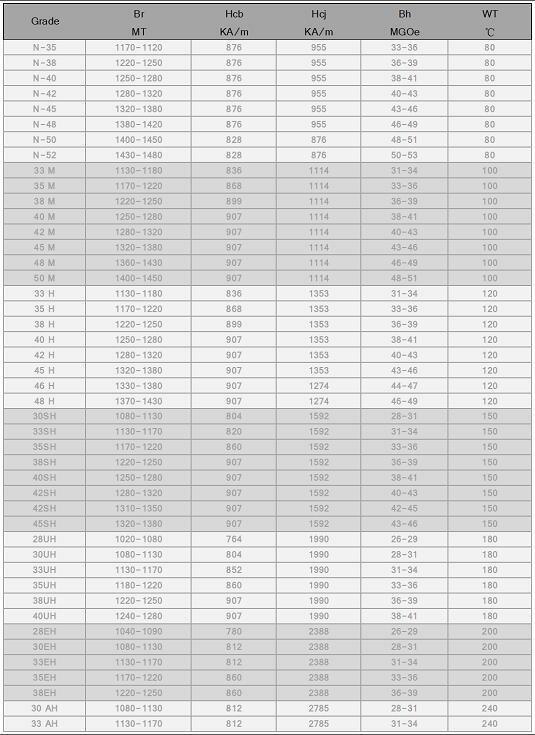 It is a magnet with better performance and price than the best. 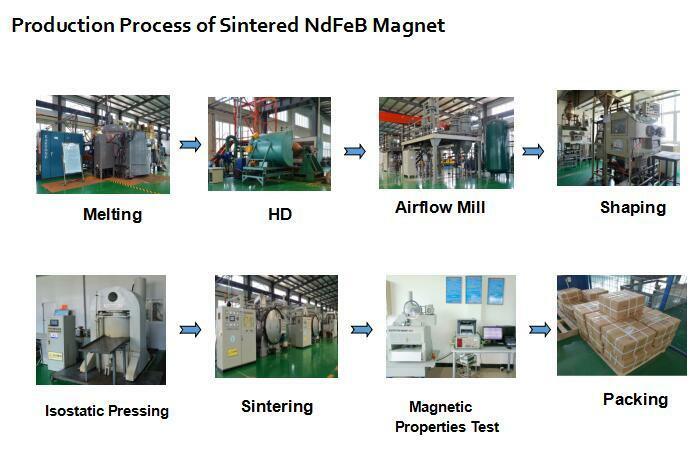 The advantages of high energy density make the neodymium iron boron permanent magnetic materials have been widely used in modern industry and electronic technology. 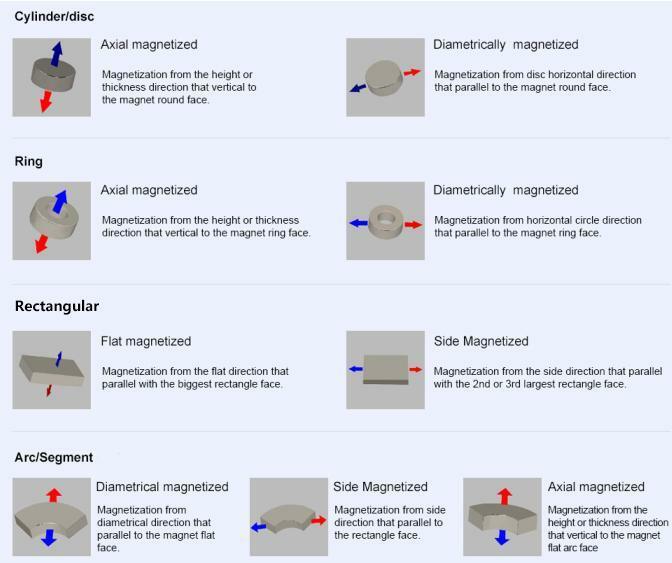 In the state of bare magnetic, the magnetic force can reach about 3500 Gauss. Â Â Â Â Â Â Â Â Â Â Â Â Â Â Â Â Â Â Â Â Â Â Â Â Â 28UHÂ -Â 40UH,Â 30EHÂ -Â 35EH,Â 30AHÂ -Â 33AH. 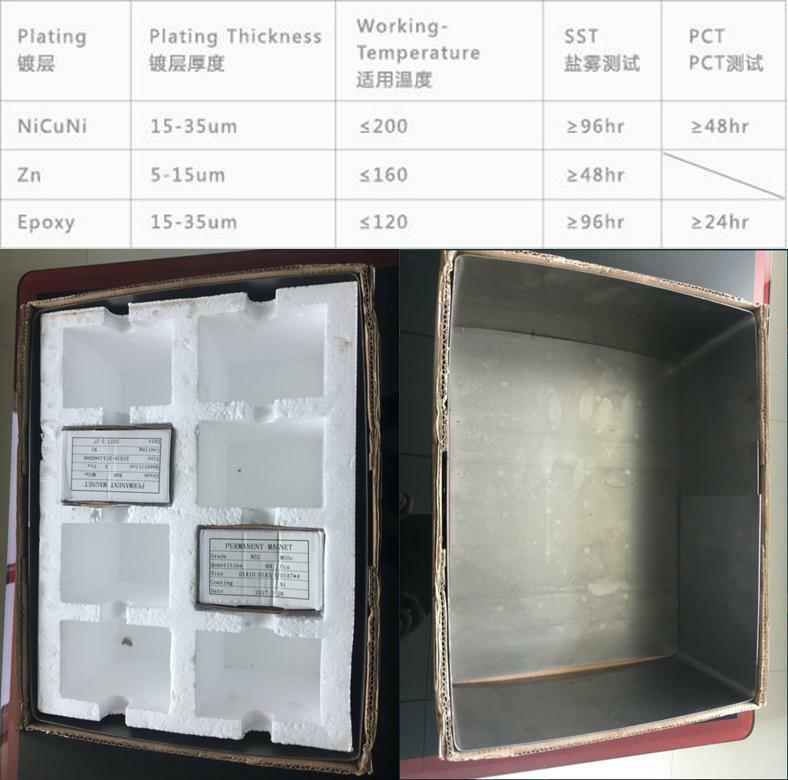 5.Coating:Nickel,Â Zinc,Â BlueÂ Zinc,Â NiCuNi,Â NiCuNi+Epoxy,Gold,Â etc.